Centsible Savings: **HOT - $10 off Enfamil coupon is back!! This coupon didn’t last long last week when it went up, so hurry and print it if you want it. 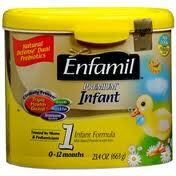 Get $10 off a large tub of Enfamil formula.